Using socioeconomic monitoring data, Cinner et al. (2009) examined aspects of social resilience at the scale of the social-ecological system in an MPA that encompassed several communities. They gathered information using household surveys and interviews with key informants and community leaders. 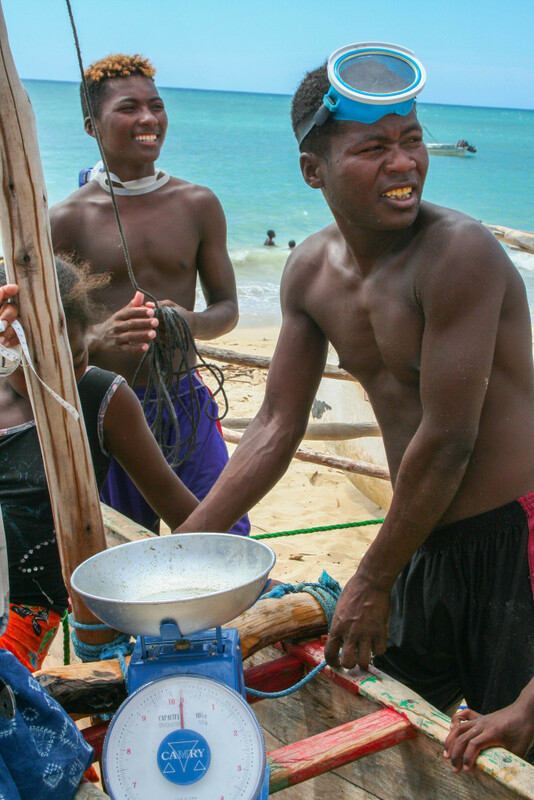 Several aspects of local-level social resilience in Madagascar’s MPAs appeared quite desirable. Flexibility in both livelihood strategies and the formal institutions governing marine resources in the form of resource-habitat taboos appeared to provide some ability to adaptively manage marine resources. Involvement in community organizations and decision making was high relative to other countries in the region. Several apparent weaknesses in social organization, if addressed, could help move the social-ecological system of the sites toward a more desirable configuration. Both households and communities lacked assets. Poor feedback of scientific information to communities was a key factor contributing to low levels of trust between park staff and communities. Low levels of formal education inhibited both the recognition of the mechanisms that affect marine resources and the perception of ways to improve the condition of those resources. There were also poor links between local and larger-scale institutions. Social vulnerability and resilience are related concepts that are important to coral reef management. Social vulnerability is a measure of the ability to withstand shocks and stresses to livelihood or wellbeing. Vulnerability is usually considered to comprise three components: exposure, sensitivity and adaptive capacity. ref Exposure and sensitivity determine the potential impact that a system could experience, while adaptive capacity moderates potential impact to determine total vulnerability. Resilience can be characterized as the components of vulnerability ref that determine how a system copes with exposure to change. In other words, resilience is a combination of sensitivity and adaptive capacity. Often resilience and vulnerability are viewed as opposites of each other, and this holds true for any particular exposure scenario. However, resilience is best seen as the properties of the system that determine its ability to cope with exposure, and vulnerability is the outcome for a system with a particular resilience if it is subject to a specific exposure. Reef-dependent communities and industries are affected by changes in coral reef ecosystems. The type and amount of change is variable in space and time, meaning that different communities and sectors will vary in their exposure to ecosystem change. The amount of exposure determines the amount of resilience required to achieve a reduction in vulnerability. Coral reef managers and researchers are important sources of information on predicted changes to reef ecosystems, and can be key contributors to efforts to assess vulnerability. For fishers, exposure may take the form of reduced stock of targeted species, while for a tourism business it may be decreased aesthetics of coral reefs at key tourism sites. Communities and individuals that are more dependent on the goods and services provided by reefs are more sensitive to change in ecosystem condition. An understanding of dependency provides an indication of the sensitivity of the social system, which when combined with knowledge of exposure (i.e., predicted changes in resource condition/availability) can help managers assess potential impacts. People can be dependent on coral reefs because of social (e.g., place attachment, occupational identity, family circumstances, employability and extent and quality of networks), economic (e.g., income, size of business, and business approach) and environmental (resource use, specialization, values, attitudes, perceptions and understanding of threats) attributes. Potential impacts describe the vulnerability of a system in the absence of adaptation. For example, the potential impact on a fishery of predicted declines in stocks of targeted species might be complete economic collapse if businesses do not adapt. Components of social vulnerability and examples of characteristics that can influence exposure, sensitivity and adaptive capacity of reef-dependent social systems. Adapted from Wongbusarakum and Loper 2011.